When I hit the "Request Price Adjustment" button at the bottom, it auto-fills an email to Nordstrom with my order details and such, requesting a price adjustment. Pretty, nifty, huh? So here I am on a self-imposed shopping ban, and just like that I saved $22.76 not even doing a thing! The app is free - you can download it here. And no, I'm not getting compensated at all for this shout out to them, I just love online shopping, and the app keeps me organized! And to be quite honest, I'm not really good at tracking price adjustments, so this is just a win/win! I need to sign up for the slice app TODAY. I've had the same thing happen (usually Nordstrom) where things go on sale shortly after my purchase. So frustrating. And great re-mixing of both of these pieces from your wardrobe! Oh this outfit looks so comfy! Love it! It was super comfy for sure! That's always a plus!! Thanks! I hope you like it as much as I do! It's pretty convenient!! Thank you!! I'm a bit obsessed with my curling wand at the moment! Just can't believe how great it curls my hair! HI from the linkup. I love this whole look. The white crisp shirt is a great staple, love the print of the skirt, and the pop of blue in your shoes. Love! Thank you! I shall stop by for sure! Lovely colors Carlyee and I love seeing how you used items from your closet. Where did you get your MK bag? I got the bag last year at a MK outlet. Unfortunately I can't find it anywhere online which is sad because it's so buttery soft. Such a great bag! Thanks again! I appreciate the comment! You keep posting things that I now need to buy! I've had a sequin skirt on my list for a while. You're right that sequins are so versatile and can be worn day and night. I love the white and turquoise with this. So summery. Yes, I think sequins have come a long way from simply glitzy night time wear! Hope you find your perfect skirt!! 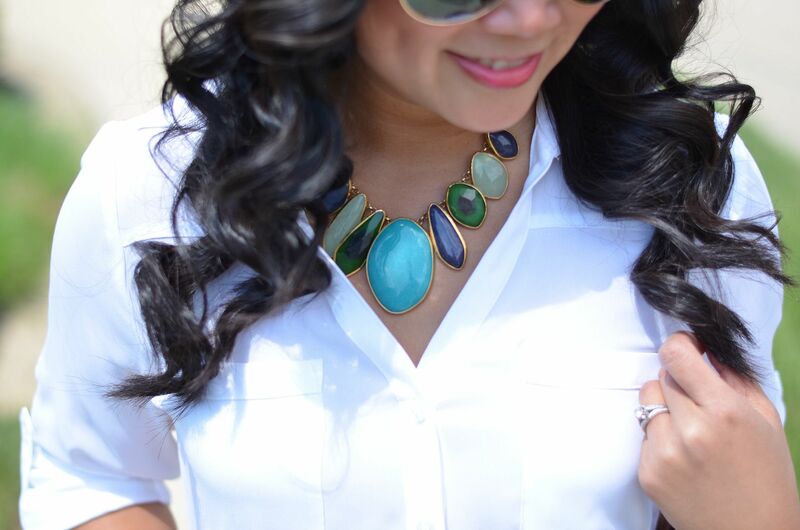 There's my favorite accessory of yours again (that Stella & Dot necklace)! 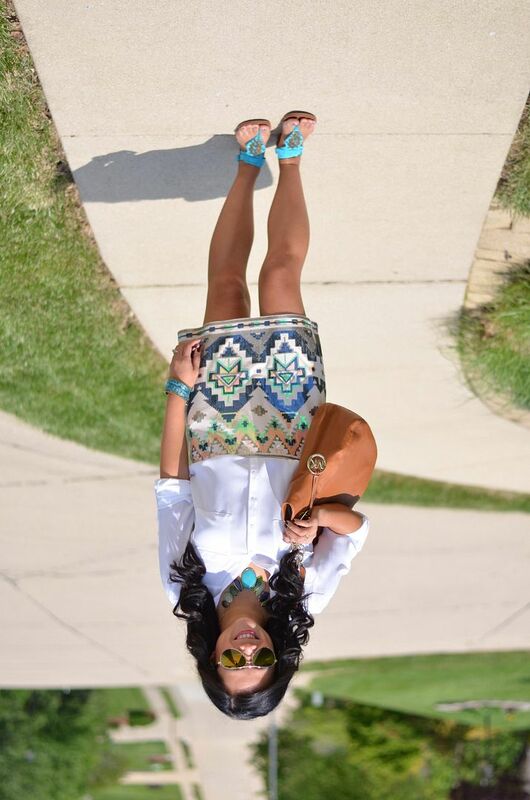 Love how it pops beneath the white shirt and ties with the turquoise sandals to the Aztec pattern. You definitely have dibs in my will! And if I decide to part with it sooner than that! :) It really is great! Oh, you totally should, I promise it's worth it! Love love love the print on that skirt! So cute! It's a great print for sure! I'm glad express has carried this for so long! First of all you look gorgeous. That is the one mini skirt from Express that got away from me. Should have bought it. 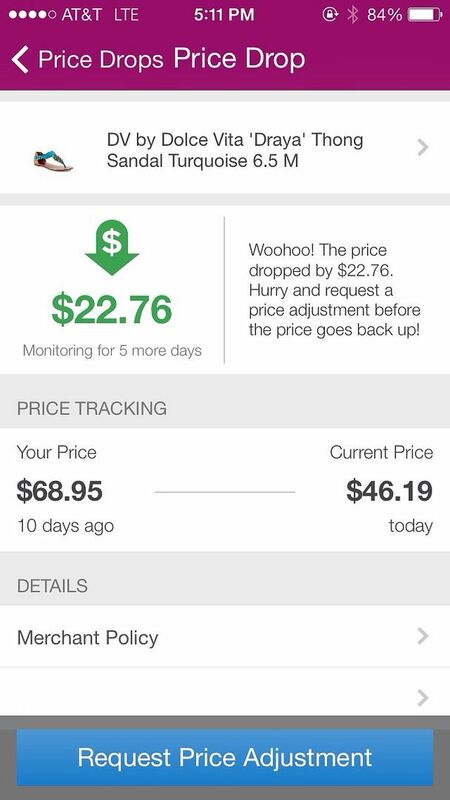 Your new sandals and that necklace are gorgeous and what a cool app about the price adjustment. Good luck with the shopping ban. Aww- I wish you could have gotten the skirt! It's a good one and I'm finding very easy to style! Thank you! I love your accessorizing as well, definitely inspires me! looking cute with the skirt and the lovely aviators :). Thanks so much! These glasses are my favorite lately! Ok, say what about the app?? It automatically fills out a form and sends it to Nordstrom??? I'm downloading it today...thanks for the public service announcement!! :) Great example of remixing....I would never have known that was a winter skirt...it looks very cute and I love the teal shoes! Eek! That skirt looks awesome on you and the coordinating necklace and flats are perfect! Thanks, lady! The necklace was a splurge for me but I've gotten so much use out of it, it's definitely been worth it! Loved how it paired with this skirt! Obsessed with the print of your skirt. 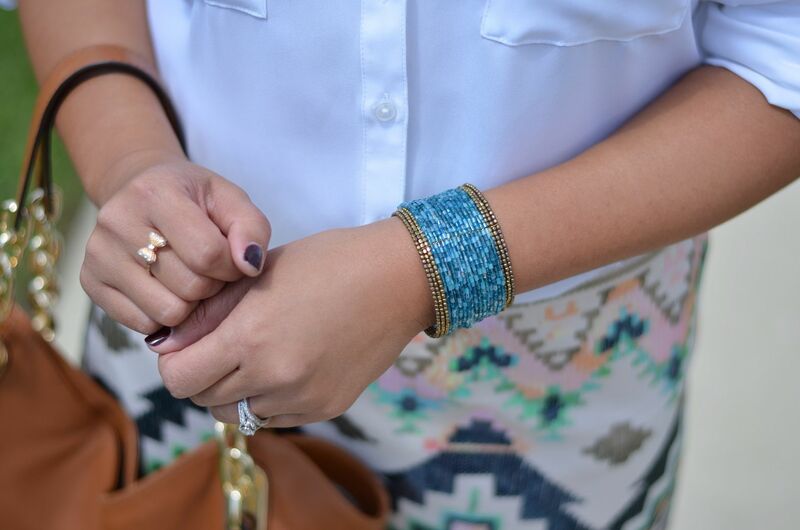 And how you accessorized with all of the shades of blue. Thanks for this sweet note, lady! I appreciate it and you stopping by! I have to say, you always look AMAZING. Love how your throw it down with these outfits. The skirt has my name all over it :D.
So cute! Love the print. Thanks! It's fun, isn't it? I love how you paired it with teal - it definitely looks perfect for summer that way! Thanks so much! It just hit me that turquoise would be great with this skirt! I hadn't even thought about it! My pleasure - thanks for hosting!